Dodger was one of six Battle Force 2000 figures released in 1987. This six figure sub-set was the first of its kind for G.I. Joe. You can see on the back of the file card below how the six figures were set apart from the rest of the Joes and Cobras. This sub-set tradition would continue in 1988 with "Tiger Force" and "Night Force" and in 1989 with "Python Patrol" and "Slaughters Marauders". 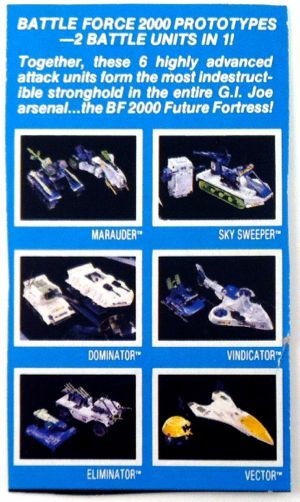 The original six Battle Force 2000 figures were released individually on their own cards. In 1988 they were re-released as a set of three two-packs. 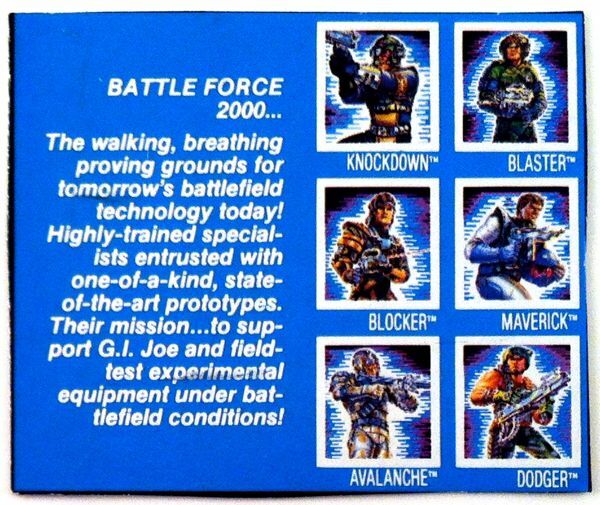 The cut-out file card below is from one of the 1988 Battle Force 2000 two-packs. This is obvious because they flipped the card art and revised the specialty below his code name to be more detailed than the original specialty featured on the single carded figure seen above.